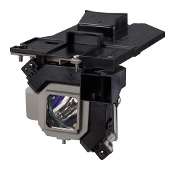 M403W NEC Projector Lamp Replacement. Projector Lamp Assembly with Genuine Original Philips UHP Bulb Inside. We Offer a Solid 6 Month Warranty, Genuine Original Bulb Inside and FREE Shipping. Lamp ID NP30LP. We only use Genuine Original Phoenix, Philips, Osram or Ushio bulbs inside our Custom built compatible housings. Do not use generic, knock off or compatible bulbs with lower light output and reduced lamp life. Generic lamps averaged 32% lower value than genuine original bulbs. Your order will ship from one of our 5 warehouses that is closest to you to ensure timely delivery of your lamp. Orders placed weekdays before 5pm Eastern time will ship same day with free ground shipping. For any additional questions feel free to call us at 619-684-5241.